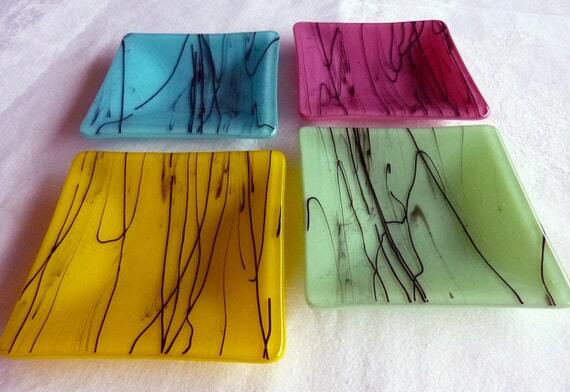 The pictures don't really capture all the beauty and shine of this fun fused glass plate set. Made with bright colors perfect for Spring, this listing is for the four 5" square plates shown here, in mint green, canary yellow, pink and turquoise blue, topped with black collage glass. They can be used as appetizer or dessert plates and would be a wonderful addition to your table!